Cast your mind back to the golden yesteryear of 2005. George W. Bush had started his second term; Million Dollar Baby had come away with the Academy Award for Best Picture; and the English cricket team won the Ashes. 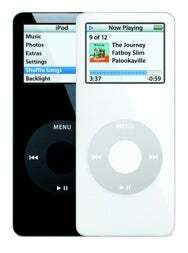 Oh, right, and Apple introduced a brand new kind of iPod, the iPod nano, to replace its previous best-selling model, the iPod mini. Unfortunately, some unlucky consumers who jumped headfirst into the pool of first-generation Apple products found themselves the owners of iPod nanos that were rather easy—okay, let’s say very easy—to scratch and otherwise damage. Turns out that some of those nanos escaped the factory without the protective coating that should have been on the front. But as Apple didn’t heed those customers’ calls, they were forced to turn to legal action to get their problem addressed. And now—more than three years after those poor iPods got themselves all cut up—a settlement has been reached, and Apple’s writing checks to the tune of $15 (if Apple sent you a free slip case as a result of your complaints) or $25 (if you didn’t get a case). In order to be a valid member of the settlement class, you have to have bought a first-generation iPod nano with an uncoated front—you can find out by entering your serial number on the serial number website. Then just sit back and wait for the money to slooooowly roll in.